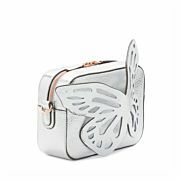 Introducing the Flossy Camera Bag in stunning silver leather. 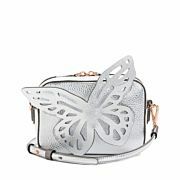 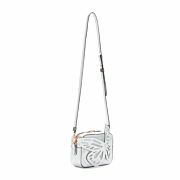 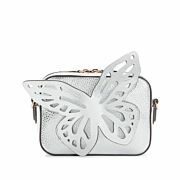 Embellished with a matching 3D Butterfly and detachable cross body strap. 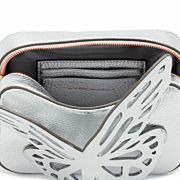 The interior features silver leather pockets for your cards on silver lining.